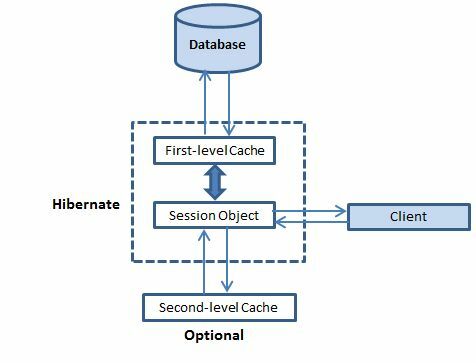 Tech Blog: What is Hibernate Caching? In a typical application, you perform lot of operations like instantiate objects, load object from the database and so on. Sometime in multiuser application you may face a situation in handling multiple call of databases. Hibernate offers caching functionality which is designed to reduces the amount of necessary database access. This is a very powerful feature if used correctly. It increases your application performance and works between your application and the database as it avoids the number of database hit as many as possible. Hibernate uses different types of caches. Each type of cache is used for different purposes. Let us first have a look at this cache types. 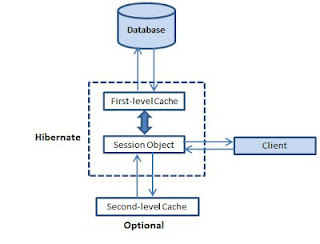 First-level cache is the session cache and is always Associates with the Session object. Hibernate uses this cache by default. The Session object keeps an object under its own cache before committing to the database. Here, it processes one transaction after another one, means wont process one transaction many times. Mainly it reduces the number of SQL queries it needs to generate within a given transaction. That is instead of updating after every modification done in the transaction, it updates the transaction only at the end of the transaction. Second-level cache is an optional cache and is always associates with the Session Factory object. The second-level cache can be configured on a per-class and per-collection basis and mainly responsible for caching objects across sessions. While running the transactions, in between it loads the objects at the Session Factory level, so that those objects will available to the entire application, don’t bounds to single user. Since the objects are already loaded in the cache, whenever an object is returned by the query, at that time no need to go for a database transaction. In this way the second level cache works. Hibernate supports four open-source cache implementations named EHCache (Easy Hibernate Cache), OSCache (Open Symphony Cache), Swarm Cache, and JBoss Tree Cache. Each cache has different performance, memory use, and configuration possibilities. 1 EHCache It can cache in memory or on disk and clustered caching and it supports the optional Hibernate query result cache. 2 OSCache Supports caching to memory and disk in a single JVM, with a rich set of expiration policies and query cache support. Hibernate also implements a cache for query resultsets that integrates closely with the second-level cache. This is an optional feature and requires two additional physical cache regions that hold the cached query results and the timestamps when a table was last updated. This is only useful for queries that are run frequently with the same parameters.